I’m a New Year’s junkie, and I am sharing one of my resolutions! HIIIIIIIIIIIIIIII!!!!!! I’ve missed this space!!!!! I had to take an unexpected hiatus due to L I F E.
But now that life is settling a bit, I have started looking forward to 2018. New Year’s is quite possibly my favorite holiday. New beginnings, fresh starts, new goals, clean slate. There is such promise, and I get so energized by it. Also ^^this gif ^^ makes me so happy because I am over the moon about her engagement to Prince Harry! So in thinking about the new year, I am going to let you in on one of my resolutions. Why? Because I am hoping some of you will join me! I am letting myself fully enjoy the holidays… So. Many. Desserts. But January 1st I am starting Whole30, and this time I am determined to CONQUER! This gives us (yes, US) a month to prepare. It’s 30 days, WE CAN DO IT! 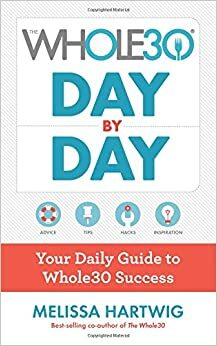 Also the Whole30 creator is coming out with a new book this coming Tuesday, it is a daily companion for the 30 days… Perfect timing! Click here to see the book. So, who’s with me? Who wants to jumpstart your health in 2018? It’ll be like a hard-reset for our bodies, and I am reeeeeeallllly looking forward to it!